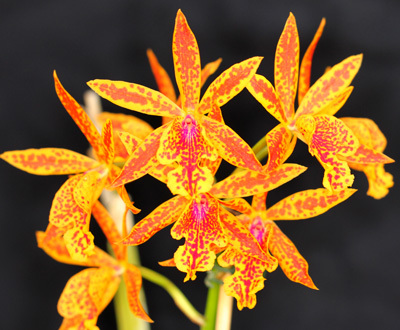 Becoming a member of the Prairie State Orchid Society is easy and very, very inexpensive. Cost of membership is only $20 per person. Membership form here. Among the many benefits of membership is the knowledge to be gained from attending the monthly meetings, not to mention the fellowship of other orchid lovers. We will also provide you with information about other nearby orchid societies, shows, and greenhouse events. There are frequent raffles of orchid plants at meetings which provide an opportunity to add to your collection. Orchid themed programs are informative and often include question and answer sessions to help you get your orchids to bloom. We often have speakers with specialized knowledege of orchids and their culture. The speakers often bring plants to sell at very reasonable prices. 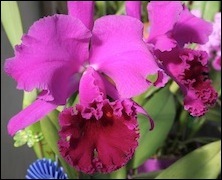 Each year is highlighted by the annual show and sale in February at Washington Park Botanical Garden. This event provides members with an opportunity to display their blooming plants and to purchase blooming plants. So come to our next meeting. (Check out the calendar.) You'll have a good time and meet some great people. And you might go home with another orchid, or if this is your first ever encounter with orchids, you'll begin to catch on to why we enjoy them so much. Rules and By-Laws of the society can be seen by clicking here.